Long answer: SVG support in WordPress have been discussed in trac ticket #24251 for a very long time, and probably will be discussed further for a very long time. Looks like we got more than just an innocent image with a red circle. This would be very easy to exploit in a XSS attack. Q: So why can’t we just run the SVG through a KSES filter that removes the script elements? A: Because XSS is just the simplest problem. Since SVG is XML based, it opens for a plethora of problems, e.g. XXE, Billion laughs, quadratic blowup etc. SVG file security isn’t some obscure bug. There’s multiple, well known SVG vulnerabilities. It isn’t a theory, an obscurity, or an unknown. There are well over 8,000 logged CVE’s that have to do with all sorts of fun and obscure SVG file security vulnerabilities. Mario Heiderich, one of the researchers who popularized the security issues, tried writing a sanitizer and found it to be harder than even he imagined. Anyhow, Daryll Doyle (enshrined), used DOMPurify as a basis, ported parts of it to PHP and released the library svg-sanitizer. He has also been kind enough to release the WordPress plugin Safe SVG that both enables SVG uploads and filter all uploaded SVG files through svg-sanitizer. Daryll is very clear on the fact that this is mostly to serve as a proof of concept, but it does seem to be good at sanitizing several attack vectors. If WordPress were to ever allow SVGs, the sanitize library would not only need to work well, it would also need to be thoroughly tested, in large scale production environments. Literally by design, SVGs are designed to be insecure. The second something like SVGs were to get into WordPress core, our library would be scrutinized, poked and prodded for security holes. Remember that WordPress powers more than a quarter of all websites, so security isn’t something we can take lightly. If you understand the risks, you know better than allowing users you don’t trust fully to upload SVG files. By “trust fully” I mean users who also understand the risks and know how to avoid them. You might have users who don’t have bad intentions, but who are willing to upload an SVG file they got from someone else. But if you do trust all your users or simply have to accept the risk, please do not use a code snippet like the one at the beginning of this article. Please use the plugin Safe SVG instead. It will at least do some scrutinizing. What about all the rendering security issues with JPEG and PNG over the years? SVG is no worse of when it comes to accepting data from untrustworthy sources. SVG allows a lot of attack vectors by design, not by accident, so we’re not talking about unpatched security issues here. SVGs are really easy to exploit and the only “safe” way we can deal with them is to disallow features. JPEG and PNG are not designed to allow for e.g. arbitrary code execution. SVG is one of the older specifications (SVG 1.0 is coming up on its 15th anniversary, where was HTML 15 years ago?). We’re really only seeing it in common use now that all (most?) browsers have embedded support for it and its only been the last couple years that its become a regular tool in the toolbox. The issue , which @chriscct7 hyperbolically obscures, is that SVG is functioning code and it should be treated as such. 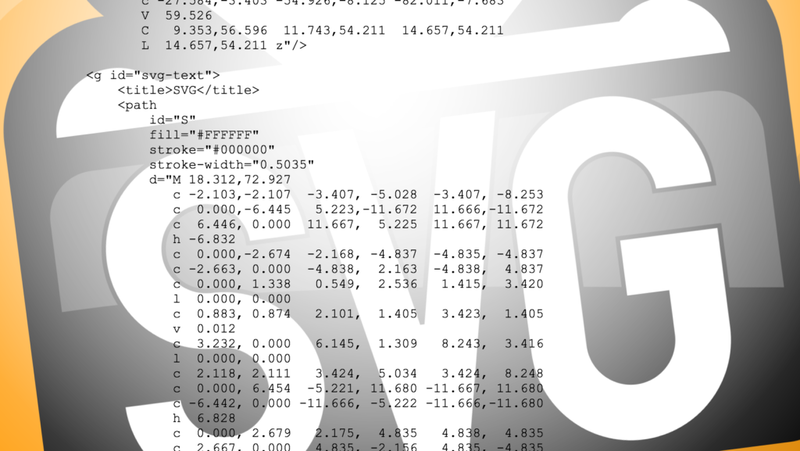 SVG is a program, not an image. Fundamental flaws aside (and since it hasn’t been researched as extensively as HTML up to this point, there surely are some) SVG is not more inherently insecure than HTML is. What is at issue is that, unless you can find a reliable way to strip out the problematic bits, you should treat SVG from untrusted users the same way that you treat HTML from untrusted users. Oh c’mon, you’re being silly. Certainly JPG and PNG have had their flaws and security issues over the years but they’re not even comparable to SVG in that regard. I think you’re being disingenuous by saying SVG is “no worse”. There’s other simple ways to attack a website that WordPress facilitates – outdated plugins, SQL injections from contact forms (for example). It does not ‘disallow’ any of these. WHOOPSIE – YOU WERE REPLYING TO THE OTHER GUY! Well, but what if you parse the SVG file and either strip malicious scripting or sanitize the markup? Of course this might give unexpected results if someone uploads an interactive SVG but this can be described as comment on the upload form and would allow SVGs to be uploaded still. Half of this post is about sanitizing SVGs. If you really want vector graphics on the web, then you should be taking responsibility to enable SVG in a secure way in WordPress core, not leaving it to 3rd party plugins to address, based on spurious security concerns. Yeah, but once a malicious svg is inside your server a visitor just need to open it directly to run the code, just like visitors usually do with jpeg (right click > view image). In hindsight there probably should have been two content types, one that treats SVG has a full document context, and the other as a simple image (how browsers treat SVG in today, which cannot execute script or initiate fetches). This is a great idea. As someone who is investing a lot of time and effort pushing forward what is possible with SVG animation I’m concerned that SVG as a format has already been branded insecure. However it seems a suggestion like this could overcome those fears quite quickly and easily. Would having these two content types also be open to exploitation? Would one solution be a new web service that runs DOMPurify (maybe in a headless browser for access to real DOM internals) against SVG uploads? It could throw in OMGSVG for optimization as a bonus. Does this already exist? Anyone interested? If you are in danger of having a script tag in your SVG then you have not purchased or created it, and you definitely cannot say it’s responsibly sourced. So why care if the format is potentially vulnerable? It sounds like a job for browser vendors not end-users, responsible webmasters, responsible owners or responsible content creators. I made an SVG upload plugin for WP after Chris’s initial article as I couldn’t understand why WordPress did not support SVG with just the small filter. I linked it as a Gist and got some interest. A few weeks ago someone else wanted to contribute, so now it’s a fully fledged Github Repo that allows the use of uploading SVG to WordPress including site-logo and media gallery. It has risks for sure, as does HTML, JS and CSS; walking outside your house, having hobbies, having a life etc. The point being this should exist in WordPress. For now there are two plugins that provide SVG I know of; mine and one by @Grok, use either, be responsible and bug the WP core team to merge one of them into core. > If you are in danger of having a script tag in your SVG then you have not purchased or created it, and you definitely cannot say it’s responsibly sourced. So why care if the format is potentially vulnerable? WordPress is not used only by developers and designers. There’s a lot of unskilled people using it and they don’t always know what they are uploading. They just need an image to their article and can find it on some shaddy free vector website. It has a setting to only allow admins to upload SVG files which can help prevent other users you don’t trust uploading malicious files. Which is why allowing admins uploads is reasonable. They can already screw with all the code on the site. Is there any chance to get the svg inline in WP posts ? Could a URL rewrite of every .svg to a php script which outputs the file only if requested through WordPress be a possible solution? It could output simple HTML with an img tag if requested outside WP. That would secure your server through W3C’s SVG Security. While writing this I realised it would be a naive solution, as it’s up to every browser to follow the W3C’s Standards. I still posted, for the sake of discussion. i think that wordpress gurus have to find a solution because svg is going to be the rule on the web! Thanks for that! It seems so obvious now but it didn’t occur to me earlier. I always loved WordPress but hated it’s limitations, now I respect it for them. 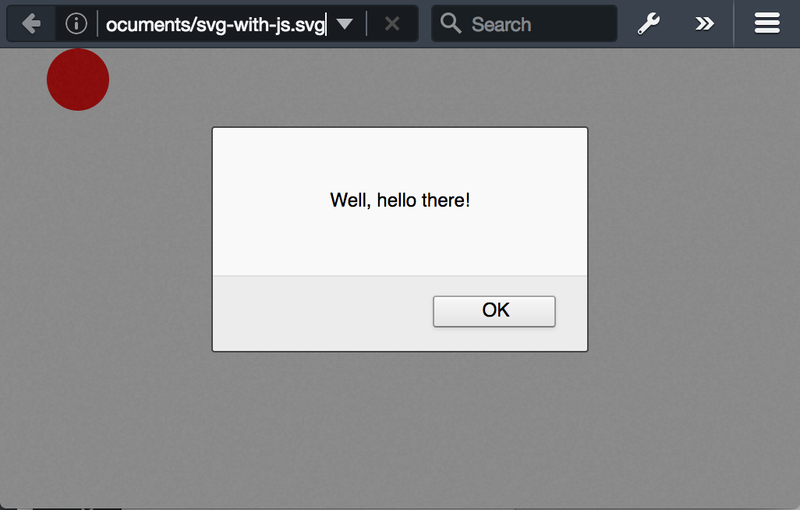 And didn’t know about the Safe SVG plugin, looks like something worth contributing to. I just tried to upload an SVG via WordPress media uploader, and then promptly searched for answers! Thanks for clearing the whole thing up! Do you think we need a vector format that is equally as open but designed for the purpose? So all the benefits of scalable vector graphics, but without the ability to inject code so easily? I have a question regarding the source of an svg: Can I assume, if the svg is generated by me and therefore not from an unknown source, it’s use in wordpress isn’t a problem? how about a plugin that takes eps vector files and converts them to safe svgs? So what are we talking about? SVG being an unsafe format when you just download SVG’s from the Internet to use them in a website or allow any users to upload SVG’s to a website. Yeah, that’s pretty unsafe, but why would you even do or allow that in the first place? For SVG’s that you created yourself based on a vector design (e.g. a logo, icons) I don’t see the problem. Quite the opposite, for images that are part of a theme, where SVG can provide good scalability, it even might be the best format. We are talking about why WordPress don’t allow uploading SVG files by default, and while there are quick fixes for this, maybe you need to give it a second thought before doing so. SVGs should be treated like you treat JS files; if you trust the source, no problem. But most people don’t know this. They believe it’s simply a vector image format. No problem. It’s good to raise awareness. I would have gone for a less sensational headline and would have made more obvious that SVG can perfectly be used in a responsible way too. I completely agree with you man, this article is misleading. It should be clarified from the start that this pertains to SVG files from unknown sources. If I haven’t read the comments I wouldn’t know, I’d only assume that SVGs are a gateway for hacking regardless if I got it online or if I generated it myself. I’m glad that I read the comments section. I think this is spreading the wrong idea about SVG formats. Thanks for your comment. What part of the article did you find misleading, by the way? I think its the part that you left out the information that only SVG files from unknown sources are harmful. For a reader like myself who is relatively new with wordpress or SVGs, we can easily misinterpret the information that you shared and assume that ALL SVG files..regardless where they came from is harmful for WP websites. Perhaps you can add that disclaimer somewhere, most of us who search for articles like this already have our own SVG files. Sure. The issue is with arbitrary SVG uploads from arbitrary users. Arbitrary and un-sanitised Anything from arbitrary uses is dangerous. Even plain text – I can just write rude things! Thanks for this article. I think I am commenting on a similar issue to others. If I understand correctly, it isn’t SVG files per se that are the problem. It is the fact that they *could* have malicious code embedded in them. Is that correct? So, if we have control over which SVG files are used (as in ones we make ourselves for example), then there would be no issue. Would be great if you can shed light on that. Thanks for sharing this info, Bjørn. Would have never thought SVG carries such security issue as a graphic/web designer. Like you mentioned in this article, most people will think of it as a vector format. Thanks dude ill use your instructions. Best regars from patagonia! I found a solution! Use fonttastic.me to turn your SVG icons into a font so you can use them on your site. I upload my SVG file. So I reckon (as I made the logo totally from scratch myself) I am good to go! So do I understand my website is safe from now on? OK – just saying… is it possible for some hack to then corrupt my safe little logo’s code somehow and cause chaos and havoc on my website?? Please tell me I have nothing to fear. Oh BTW, apart from the scare factor, your article is great! I just recently found out that .svg files poses severe security ussies. :( I’ve been using .svg files on my sites for years. As I understand from your article svg is the same as a .js file. They can both be secure or they can both enable XSS for instance. If I downloaded a shady .svg file and then opened it in Illustrator and resave it into an illustrator file (*.ai) and then into a .svg file. Is this new .svg file fully sanitized? What about SVG versions? Is any of them safe? Is the risk the same if I create the svg file myself? Hi Bjørn. Thanks for this great article which gave a serious impact just a few seconds before I started to make some changes. I’ve gone through the feedback by Neal Mibe carefully, and your reply too. The feedback was focused on ‘self-produced SVG’ topic. Here is my little wondering: Will SVGs which are produced by myself still be used as an attack point against visitors? Just ruminating here, so as I see it, most people are using this for the logo display. So if the svg file is generated by the admin/owner-whomever, it could be considered “safe” but then, in order to get around the default WordPress denial of uploading, the same people have add a plugin that will allow the support of svg uploads ( I am assuming here the the plugin simply allow the WP install to accept an svg upload ). I am also assuming that…. if a properly formatted svg file can be viewed in a browser window, the only inhibiting factor to this is the upload process, right? So… why not use the ftp protocol to upload a file to a pre-determined location (dir) and simply add the document path to the image location? That cant be too difficult as the admin person has control over the content/plugins.options etc… ? or is there more to the equasion as this remedy has worked well for me. One thing I have noticed though, sometimes the resulting svg is completely black, and drops all colors, gradients etc.